Who knew a saw horse could look so hip? 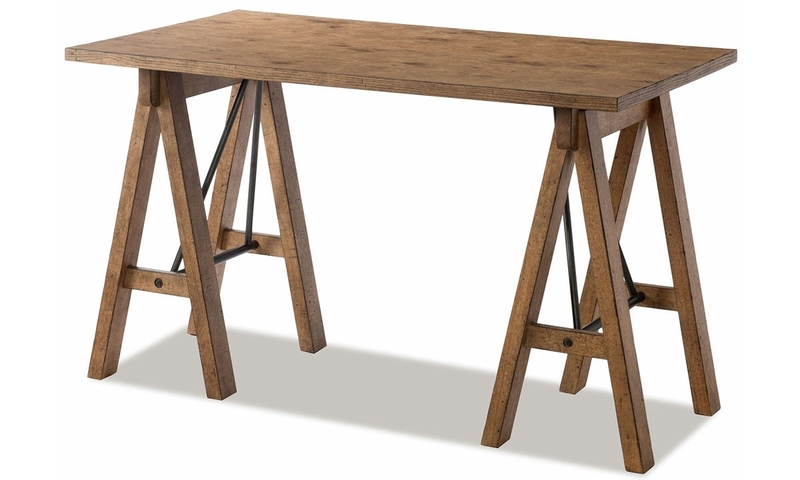 Inspired by the workshop staple, the Dreamer desk from Trisha Yearwood will make a chic addition to your home office. Its versatile wheat finish features tasteful distressing and saw marks for rustic character that’ll inspire both everyday work and more creative efforts.